Would you pay $240 million for a penthouse facing London's Hyde Park? If you need proof that London's real estate market has gone mad, look no further than last week's sale of an apartment for nearly $240 million. The incomplete penthouse, with 16,000 square feet of concrete floors, occupies a prime site overlooking Hyde Park in central London. 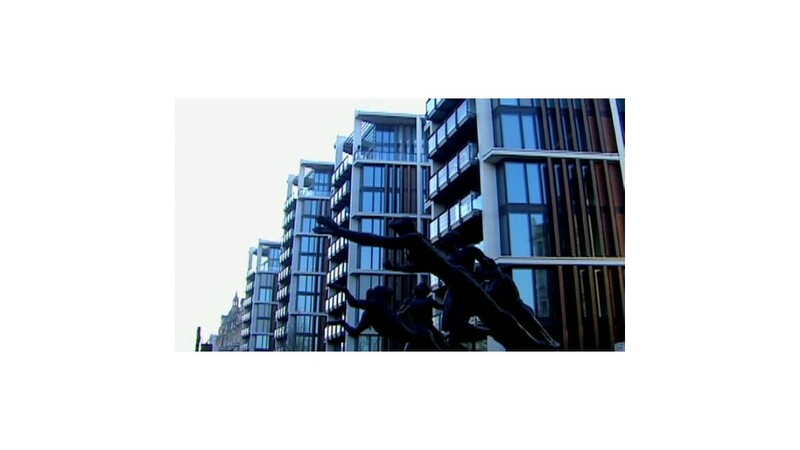 The buyer, possibly from Russia or Ukraine, was reported to have paid a record £140 million ($237 million) for the apartment. 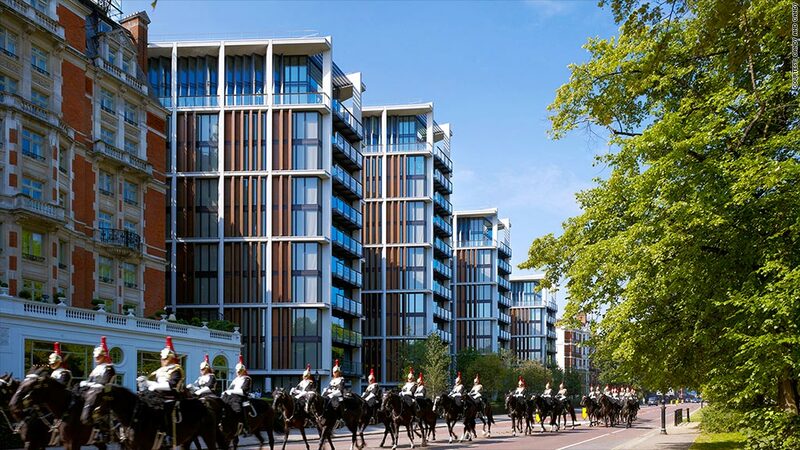 Property developer CPC Group declined to comment on the sale price or identity of the buyer but said the apartment could be worth as much as £175 million ($297 million) once it's finished and furnished. An extreme example, maybe, but it's just the latest high-profile transaction to set off alarms that the city's real estate market has gotten dangerously out of whack. House prices in the city have shot up by nearly 18% over the last year, according to government data. Politicians and economists are warning about the dangers of a bubble. Londoners complain that they're being priced out of the market while rich international investors swoop in to buy prime real estate that is often left vacant and dark. The city's property market has gained a reputation for being an ideal place for investors to park their money, with a steady tax regime, tight supply and healthy demand. A new report by real estate company Savills and Deutsche Asset & Wealth Management estimates that the super rich have invested $676 billion in London real estate -- four times the amount committed to New York. "London is unique in attracting a volume of real estate (and other) investment from every single global region," wrote Paul Tostevin, associate director at Savills World Research. The city is desirable, in part, because of its vibrant culture, thriving business scene, green spaces and timezone between Asia and the U.S. The housing boom in London has been stoked by low interest rates, a strengthening U.K. economic recovery and aggressive government incentives. A government 'Help to Buy' program has led to a rush of mortgage lending. Fears that people may be borrowing more than they can afford has prompted experts to warn that the London boom is becoming unsustainable. The Organisation for Economic Co-operation and Development warned Tuesday that measures should be taken to reign in the housing market. The Bank of England is on high alert. Some economists say it should be thinking about raising interest rates as early as this year. But most expect the first rate rise since July 2007 to come only in 2015. "Rapid price gains raise the chances of a dangerous bubble, future debt growth, and could make a future downturn more painful," said Robert Wood, an economist at Berenberg bank. "Record low interest rates are unnecessary." The Bank of England holds its regular monthly monetary policy meeting Thursday.